send her back to be loved for years to come. 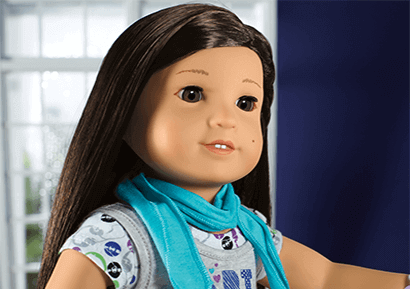 When you admit your American Girl doll to the Doll Hospital, she'll be carefully handled to protect her from further injury. A team of doll doctors will examine her from head to toe and decide on a treatment to fix her "injuries"--everything from hair brushing to limb tightening to major "surgery". 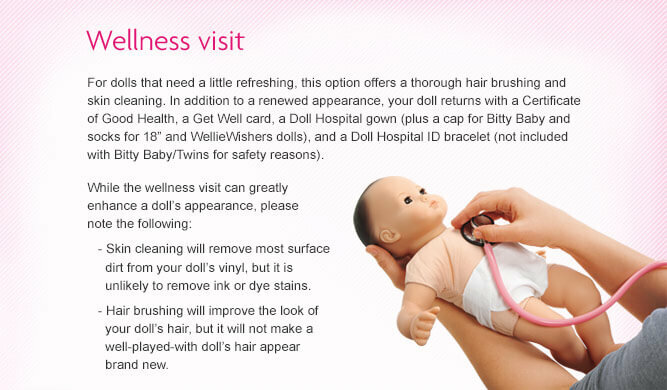 Prepare your American Girl doll for her visit to the hospital—detailed instructions are listed on the form. Choose whether you want to have her ears pierced during her stay. 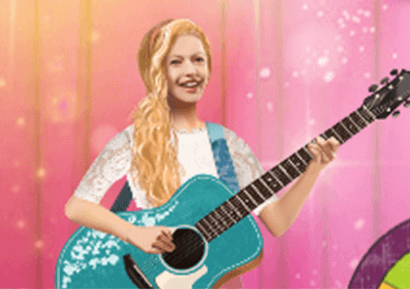 For $16, she will have her ears pierced and get mix-and-match studs and dangle earrings. 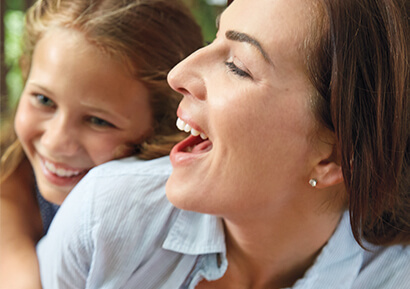 Choose whether you want to add a hearing aid to one or both ears during her stay. 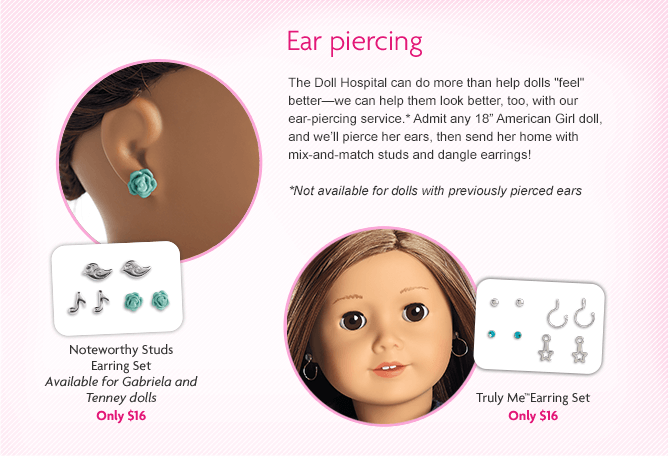 For $14, our doll doctors will expertly fit her with a removable doll-sized hearing aid in one or both ears. 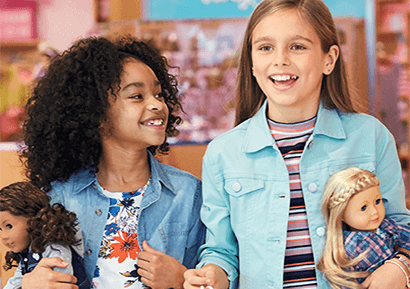 If you have a question about how to care for your American Girl doll, you may find the answer in the list of Frequently Asked Questions, or consult a Doll Doctor by calling 800-845-0005 or e-mailing dolldoctor@americangirl.com.